The ‘Bottleboard’ was my first Innovation. If you really want a good ironing finish then there is nothing better than the Bottleboard. You can iron a shirt front in one go, - right up to the top button area, and it’s long parallel sides and built in sleeve board makes ironing faster and easier all round. Independent tests showed it saved 25% on ironing time. The phone started ringing with 100’s of complaints. I could only offer them their money back. But something incredible happened. Most of the people who had ordered were women, - who wanted the Bottleboard, - and they told me to keep the money, get it made properly and then send it to them. This I did and I still have many of those old customers today. Bless every one of them! Then the Bottleboard went in to the Innovations magazine, and it was shown on the same page as the new Dyson hoover, - yet the Bottleboard won Innovation of the year’! As usual, I was underfunded and couldn’t support the orders because despite taking a % as ‘fast payment discount’, they took far too long to pay. It all got too stressful. So I closed down, paid all my suppliers and let the Bottleboard go. It’s still a great ironing board. 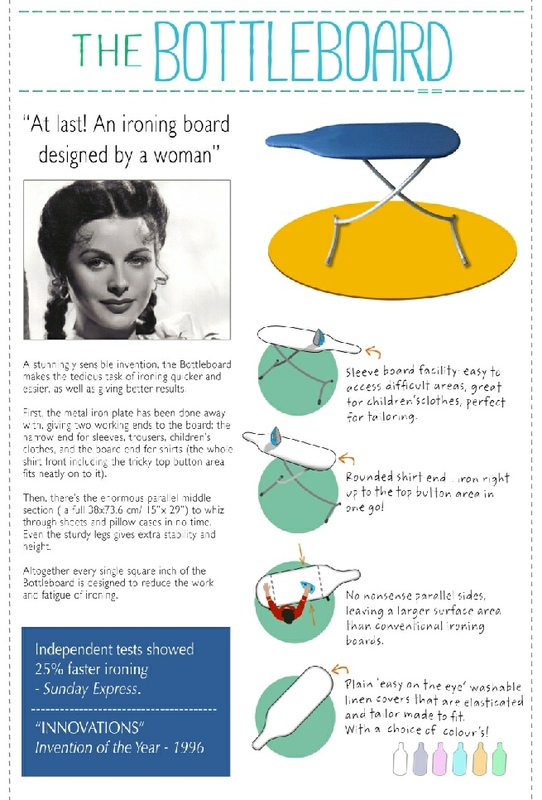 I think it’s a shame that it’s not on the market anymore because as an ironing board, it really is a good one! Altogether, I must have sold 10,000+ Bottleboards. I still have many people calling me up for covers even 20 later. They get passed down as family heirlooms, and people still call me for covers (which I still supply). We have become friends! 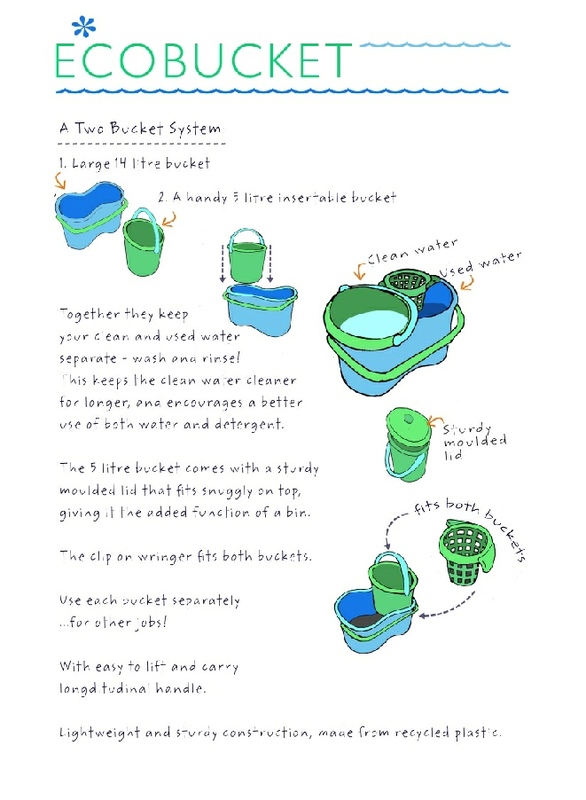 This beautiful, curvy bucket system works to outperform all other buckets! It also gives a much cleaner finish.